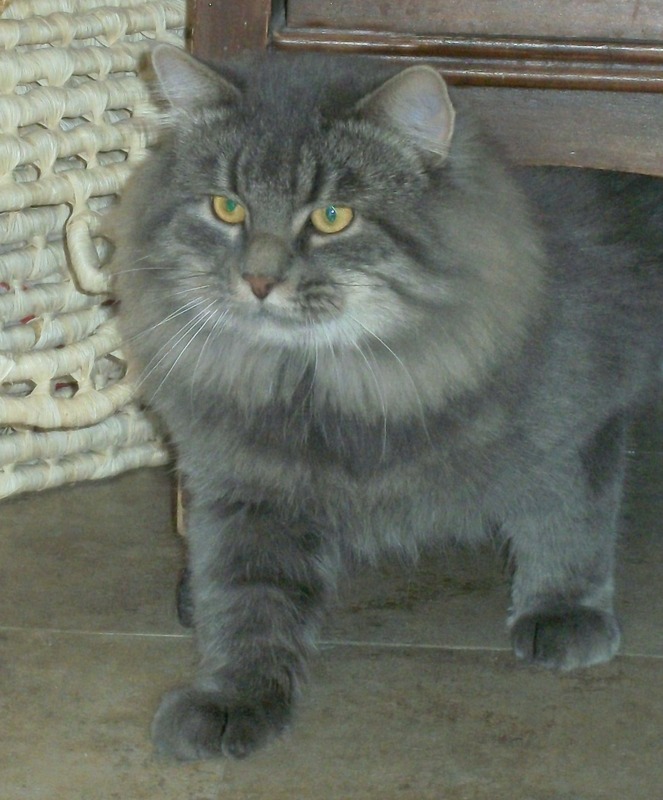 Gerod -- aka Geroy Timange Fialka was imported from the Russian cattery, Fialka, in St. Petersburg. This blue classic boy is the son of European (FIFe) and World (WCF) Champion, Jonathan-Timange. 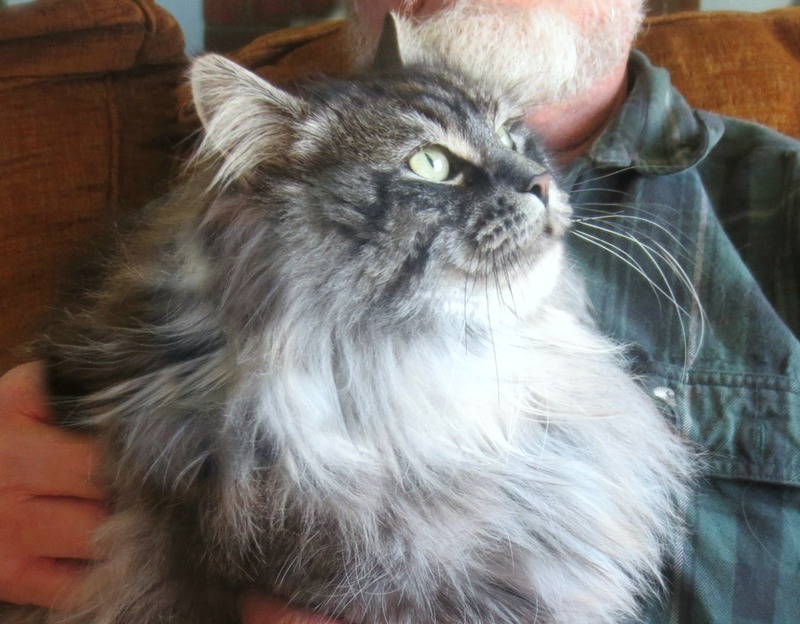 Gerod has good heft and great features: A regal Siberian face, a full coat and ruff, huge paws, beautiful coloring, and an incredibly affectionate personality. 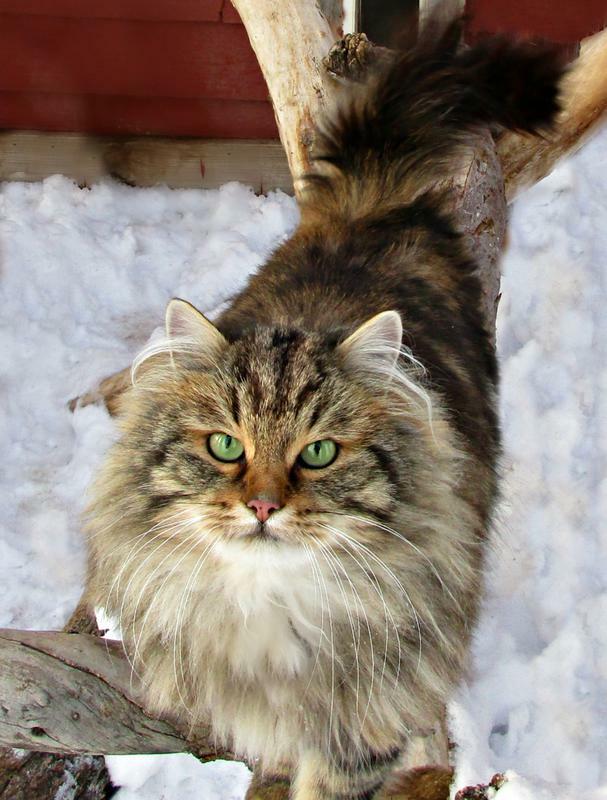 He has sired some of our most beautiful kittens and was our MAIN MAN for manyyears! Gerod, the most significant stud in our cattery, is now retired after many years of producing some of our best litters of kittens. He was our super-sweet, extra large teddy bear. His legacy continues through his daughter, Nadia, and his nephew, James 007. Mystic Melody Izak Petr of 7 Cedars is one of our most prolific males. 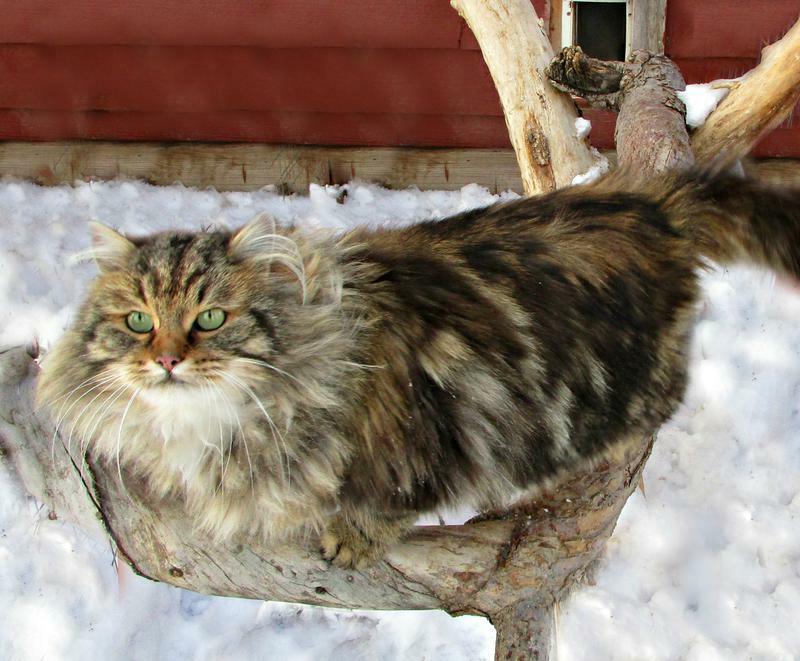 This boy is the son of TICA Supreme Grand Champion, Sibirskiy Russian Bear of Mystic Melody. Izak has a lot going for him besides his pedigree: great expression, solid boning, blue mackerel markings, and an awesome personality - it's all here! We're grateful to Judith at Mystic Melody for sending him into our cattery and our home. He's totally charming and so much fun! 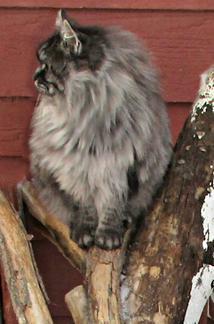 He's sired several great litters and is the father of our younger male: Maksim. 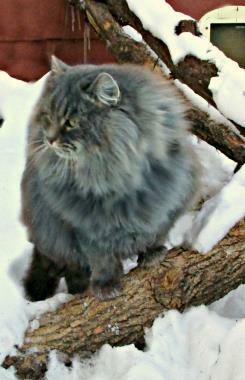 To return to the Siberian Cats page, CLICK HERE. 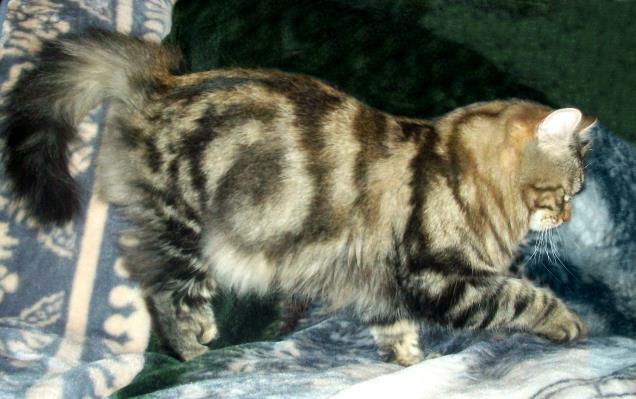 Symphonie Ludwig is a work of art - with a magnificent classic tabby pattern, a great profile, and strong boning. He's also super sweet and known affectionately by us here as "Lynx." 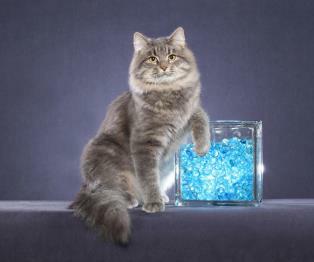 His offspring have tended to inherit his clear classic pattern, his warm coloring, and his outgoing temperament. Lynx is now retired from breeding, but he's the sire of our newest stud who combines the lines of Gerod and Lynx in this son of Gemma's. 7 Cedars Maksim is one of our younger studs - and he's already quite the ladies' man. He is now a father several times over. Maksim is an incredibly handsome and large young male, black smoke in color. He's the son of Izak and Kyzha, and has the best features from each. Besides his outstanding looks, this boy is super affectionate and outgoing. He's a KEEPER! Izak at less than a year old. Maksim with his big head and "lion's mane." Maksim is always ready to snuggle! 7 Cedars James 007 is our youngest stud, and he's already proved quite prolific. This boy carries on the beloved lines of Gemma and Lynx, both now retired. 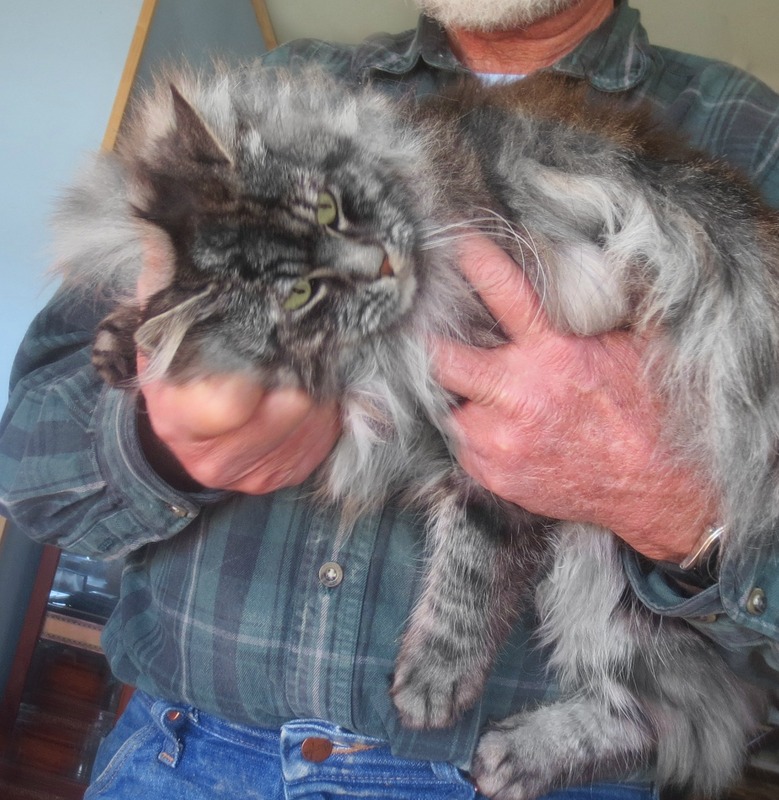 James has Lynx's gorgeous classic markings and Gemma's size and carriage. James is also a good-natured fellow who produces kittens who bring joy to their new homes!